Recently, a man gave orders to cut down a mango tree (botanical name Magnifera Indica) estimated to be approximately 35-years old while at its peak of production, last mango season. The first thing that comes to mind is, there goes another misguided individual. Cutting down a mango tree in addition to being an economic blunder is also an environmental one. Just think about clean air, provision of soil cover preventing erosion, part of the natural habitat for birds and most of all the production of a fruit that could be called the king and queen of fruits. It is estimated that approximately 20-million tons are produced each year in the tropics and sub tropics with the leading producers and exporters being India, Pakistan, Puerto Rico, Mexico, Brazil, South Africa, Peru and Haiti. India is credited with being the country of origin for most of the more than 400 varieties known worldwide being cultivated there since 2000 BC. Mangoes got to Jamaica and the West Indies sometime during the 17th century and there are more than 40 different types in the region. As a business opportunity the growing of mangoes as another orchard crop for export in different forms is a missed opportunity which should be revisited with some urgency with the setting up of a Mango Board similar to the coffee or cocoa board. Some local Jamaican scientists should begin research into mango of the type done by Drs Lockhart and West into ganja (Cannabis Sativa) from which pharmaceuticals for glaucoma and asthma are being marketed. 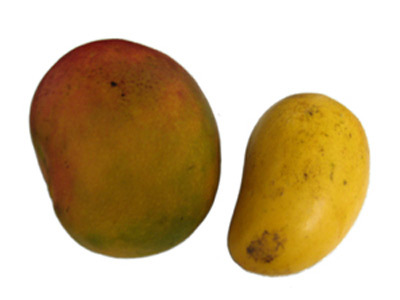 Mango has the potential to produce nutriceuticals and pharmaceuticals. Mangoes are rich in anti-oxidants, vitamins A, B, C and also have potassium, calcium and iron. They are also high in fibre and low in calories and sodium. Some of the many medicinal claims made are mango juice as a restorative tonic, powdered mango seeds for diarrhoea, ripe mango as a laxative, unripe mango to clear kidney stones and mango tree gum used to dress cracked feet or treat scabies and syphilis. The cutting down mango trees should be prohibited, more orchards established and scientific research put into developing more by products of mango to add to our economic and agricultural fortunes. Then we’d really see Caribbean man go!